As a new information carrier, the scientific data carries a lot of information. People who work in scientific research are more or less likely to search scientific data for work. We investigate the retrieval behavior of researchers in the process of searching data through questionnaires. The survey included the selection of searching data channels, using the clues and criterion in the process of retrieving data and some difficulties in the retrieval process. The results show that the retrieval behavior of scientific data users is influenced by educational background and retrieval ability. The education determines the breadth and depth of the data requirements, and the retrieval ability determines the access to data and the amount of data to use. So, in the process of designing data retrieval system, it is necessary to meet the needs of users in different cognitive contexts. This work was supported by a grant from the Social science fund- Scientific Data User Relevance Criteria and Use Model Empirical Study (14BTQ056), National High-tech R&D Program of China (863 Program No. 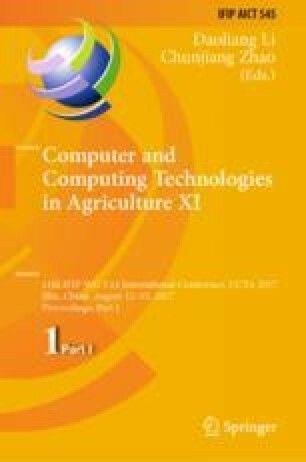 2013AA102405) and Agricultural Science and Technology Innovation Project of Chinese Academy of Agricultural Sciences(Project No. CAAS-ASTIP-2016-AII).